David Puentez is an internationally loved and respected DJ. 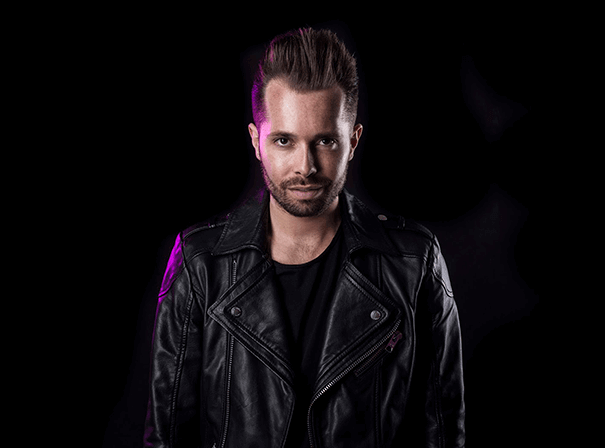 His music has been spun by the likes of David Guetta, Tiesto, Axwell, Sebastian Ingrosso, Alesso, Nicky Romero, Fedde Le Grand and Martin Garrix, at some of the world’s most recognised festivals, such as Tomorrowland, Ultra Music Festival, Coachella, Sensation White and EDC. Bursting onto the scene with his debut single, ‘Melodrama’, Puentez stayed at No. 1 for over 15 weeks on Sirius BPM – one of the biggest and most well-known EDM radio stations in the States. In 2014, David remixed the track ‘Daylight’, which proved to be one of the hottest festival and club hits of the year. Receiving endless support from fellow DJs, the remix now has upwards of 335k listens on YouTube alone. David’s remixing flare did not stop there. Since, he has remixed music for the likes of Nicky Romero, Marco V, Azzido da Bass, Bob Sinclar, Kid Massive, Stefan Dabruck and Morgan Page. Perhaps his most loved remix, ‘We Found Love’, by Rihanna and Calvin Harris has upwards of 23k streams on Soundcloud. Recently, David signed with dance music icon Tiësto and dropped ‘No Matter What!’. Since its release on 23rd March 2018, ‘No Matter What’ went nebula and has been shutting down clubs across the world. With previous residencies at Hollywood’s most famous club, Lure and regular appearances in Dubai, Beirut, Stockholm, Copenhagen, Los Angeles, Miami, New York, and Seoul, Puentez is a performing veteran. Loved by clubbers all over the world, Puentez remains one of the most talented DJs to come out of Germany in recent memory.